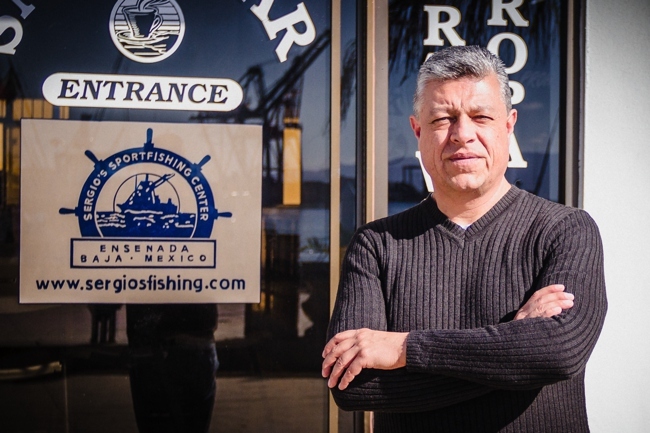 Sergio's Sportfishing Center began in 1997 however, the commencement of the business date back to 1960 when founder Alfonso Susarrey had a dream to start a company with the goal of owning and managing his own fleet of boats. His first boat a 15-foot skiff and a 10-horsepower outboard motor "I used to take two people at a time" recalls the founder "I would catch yellowtail, barracuda, white sea bass, bonito…you just name it. I would stay within the harbor or sometimes go three or four miles out. We caught halibut to 30 pounds and even caught a 182-pound black sea bass on the skiff." The founder had dreams of expansion and a few years later he bought a 40-foot hull for $300.00 which became the D-D his first major vessel. Not long after, he had the largest boat in the harbor "Then I took off big," he says. Alfonso Susarrey went to San Diego, where he saw and fall in love with the Qualifier 85. Its owner, Bruce Barnes, took him out a few times and let him work on the boat. With just $5,000.00 in his bank account, he was shocked to learn that a similar boat would cost about $350,000.00. He settled for a set of plans for $2,000.00 and started from scratch. Two years later, with the help of credit from a San Diego lumber yard and the assistance of a local boat builder, Susarrey had in his fleet an 85-foot sportfisher, which he named the Ensenada Clipper. Alfonso Susarrey died on July 1, 1999 following a year long battle with cancer at age 62. Over the years, Susarrey managed the business end of his operation while his younger brother Oscar skippered the Ensenada Clipper. Beginning in 1986, he shared management duties with his son Sergio, finally stepping down as titular head of the fleet in 1996 when a new company Sergio's Sportfishing Center, was formed. As he had wished, his ashes were scattered from the deck of the Ensenada Clipper, with his brother Oscar at the helm. He was a respected leading figure on the Ensenada sportfishing industry for nearly four decades his legacy and hard work will always be remembered. Sergio Susarrey got into the business early, working on the boats since 5. At 12, he had learned enough English to start selling tickets. A few years later, with a degree in industrial engineering and co-ownership of the business-along with the desire to cater to the serious fisherman with this into account- he had helped the company grow into a reliable operation; in the early 90's Sergio bought and help redesign the charter vessel El Cazador which became a must ride vessel in the Ensenada harbor. ​During the last 20 years, the industry has gone through many changes and many of the "old" operators are no longer in business. During the "Golden Age" of fishing (1950-1980), "open party" trips for groups of 20 to 50 anglers were the norm and fares were sold individually. Today, more personalized private charters are preferred, accommodating groups of 6 to 25 anglers. Trips of this type are slightly more expensive but offer a much more personal and memorable experience.